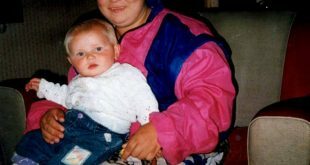 Home / (Latest) Dannys Blog / Justice for Murdered Sheffield Mum – Please share this post. 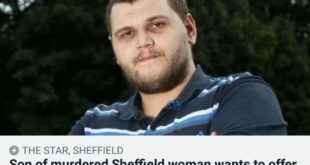 Justice for Murdered Sheffield Mum – Please share this post. 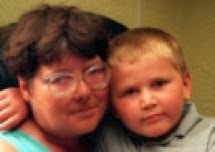 As you may know My mum was murdered when i was 5 years old I couldn’t defend my mum as a child and I couldn’t get my head around what happened to mum until I was older. Had I been older I wouldn’t have let it get to this point without something been said and done about it. A month after starting the website i went to the star newspaper as i was advised by a friend this sparked a huge interest by the media lets say i got to learn the good side and the bad side of the press but to me the press were more helpful than the police. I can’t say I have finished grieving for nan as i still do but i live in comfort sometimes believing she’s being looked after by mum up there in heaven but in another thought I’m thinking about the horrid things that happened to my mum that the person/s responsible have got away for, for 18 years and its not right. This person/s are evil they beat my mum, they hurt her, they raped her, they took a young vulnerable woman took advantage of her gentle nature and tried to kill her in more ways than one, strangulation, drowning, stabbing multiple times either would have been enough but because of the brutality it is not known which act actually killed my mum to do this to another human being is unthinkable and those responsible need to be brought to justice i try to get it out there as much and as far as i can but I have got to be honest i don’t feel like I have much fight left in me. The police aren’t willing to provide the resources for the current investigation to develop any faster or for appeals such as crimewatch so all i have is the hope of the website/facebook/twitter appeals will bring us what we need in order to find those responsible. The last appeal made by the police was in April 1999 between then an now other than backing of off my campaign articles i cannot say they have done much as far as appeals go. Unfortunately the police have lost/destroyed what possessions and clothing was left of my mums, so other than a few photo’s I have little to remember my mum so the only comfort i have is hope that one day those responsible will be caught for what they did. 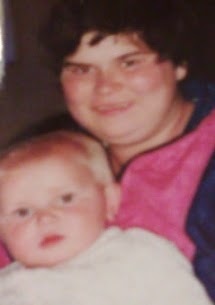 I need closure, my family need closure and its draining what’s left of our lives not knowing, not being able to see justice for mum those responsible are not going to hand themselves in after 18 years so if anyone is reading this that might have some information regardless how small it maybe to message either myself, contact the police or crimestoppers and if you don’t have any information i kindly ask you to share this post in the hope that someone who does know will see it. Thursday 7th August 1997 – Confirmed Sighting at Nothern General Hospital. 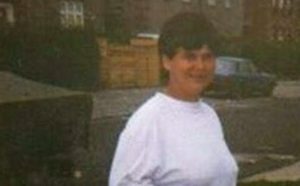 Saturday 9th August 1997 – Possible Sighting – a man was seen talking to Pat about 12 hours before she was last seen alive. 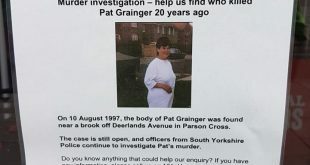 She was chatting to the man at about 7:45am at the junction of Holgate Crescent and Holgate Road on Saturday August 9. 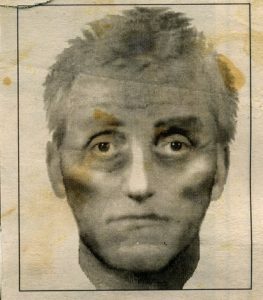 The man was white, aged about 30, five feet six to eight inches tall with dark hair, greasy or gelled. Possible sighting on Lindsay Cresent days prior to her murder. Did anyone see her in or around the Northern General Hospital? Where did she stay its still unknown where she stayed for the week prior to her murder but she must have stayed somewhere.. please come forward if you let my mum stay at yours in august 1997, if you haven’t done anything you won’t have anything to worry about just come forward now. Man police are still trying to locate. Do you know this man? Please contact the police. If you can help with anything please get in touch via the contact page or click how to help if you’d like to contact the police. Maybe we could do some fund raising? ?… Even if a PD just looks at any evidence the police still have and the case notes… Funds raising is also a great way to keep it in the public eye ..and it also keeps your mind busy …free from the torment if only for a while. Do you have the resources to hire a Private Detective ?